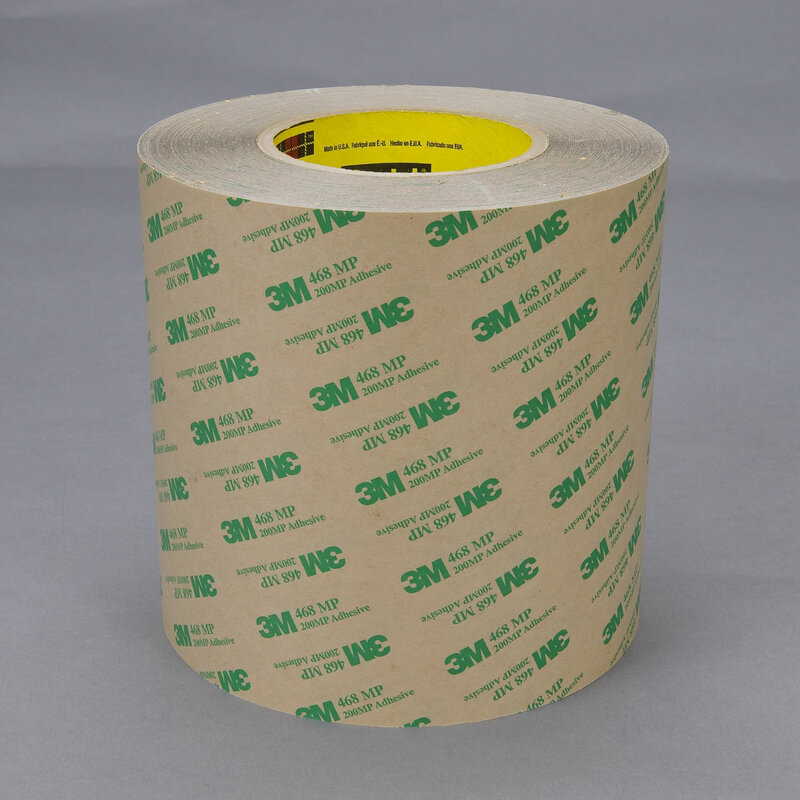 3M™ Adhesive Transfer Tape 468MP 3M 468MP | Fabrico, A Division of EIS, Inc.
5.0 mil, 200MP high performance acrylic adhesive with 4.2 mil, 58 lb polycoated kraft liner. High surface energy substrates. 5 mil adhesive transfer tape with acrylic adhesive on a polycoated kraft paper liner. Excellent shear strength, temperature resistance and chemical resistance. Graphic Attachment, Nameplate Attachment, Automotive, Appliance, Aerospace, General Industrial, Electronics, Transportation. This is good for adhering, joining, affixing, bonding, mounting, holding, laminating and attaching. Medium and High Surface Energy Plastic bonding. Metal bonding.